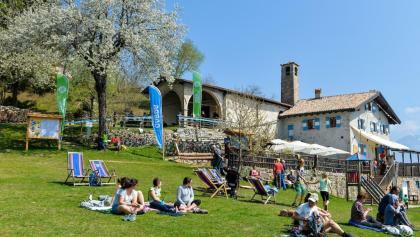 4 stages hikeable all year round, from the lake shore to more than 1000 m. 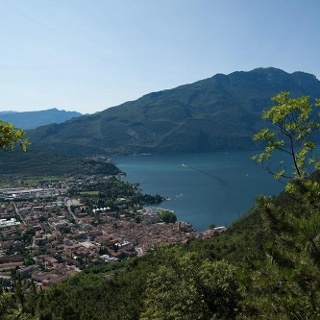 a.s.l., from Mediterranean vegetation to Alpine woods: one loop, all the variety of Garda Trentino! The GardaTrek - Medium Loop starts and finishes in Riva del Garda: the hike is a loop across the mountains around the Basso Sarca, the plain of the River Sarca, and winds up and downhill so even someone who is not an experienced mountaineer but loves long walks in the mountains can enjoy all of the environments and landscapes in Garda Trentino. The route runs halfway along paths, mule tracks and secondary roads and is entirely signposted. This is not a route that requires mountaineering techniques, but it is still necessary to have a good training. This hiking route can normally be done all year round, but in the winter months you might come across some snow on the way. For this reason you should check the conditions of the trails if you are thinking of doing it from November to March. In this period it's advisable to check as well the opening of moutain huts and accommodation along the route, as they might be closed. The Medium Loop is the ideal route to start or close the hiking season, with a not too long but always scenic route. The trail does not present any particular technical difficulties but make sure to wear proper hiking gear for the mountains. Even on relatively short easy outings make sure to take all you need so you don't run into trouble if things take an unexpected turn, for example a storm blows up or you have a sudden drop in energy levels. We recommend staying in one of our Outdoor Friendly members where you will find special facilities for sports lovers. 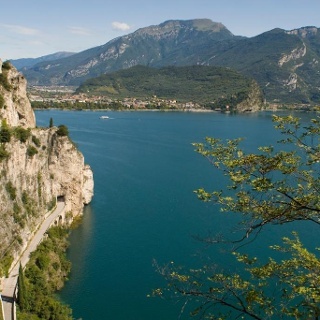 The trek starts in Riva del Garda and goes up as far as Tenno, cutting across the western slopes of the "busa" (or "hole", the name in local dialect for the plains area which includes Arco, Riva del Garda and Torbole sul Garda). 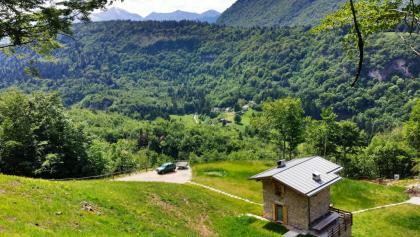 From here you climb to the 1000 metres a.s.l. at the mountain hut Rifugio San Pietro which is the arrival point of the first stage. 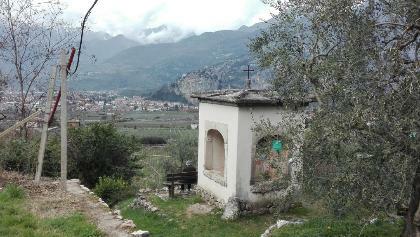 Continue towards Bocca di Tovo where you begin your descent towards Ceniga, the conclusion of the second stage. 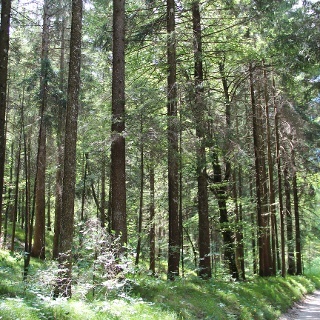 The third stage initially heads north, touching on Drena, before crossing the wooded slopes of Monte Stivo to Bolognano. 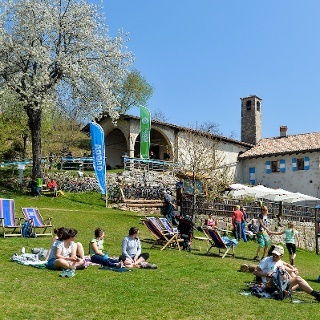 From here you head uphill again to the chestnut woods Castagneto di Nago and up the Segrom ridge before heading back to Torbole along the Busatte-Tempesta trail – one of the most popular trails in Garda Trentino. From here, follow the cycle path along the lake shore back to where you started from. 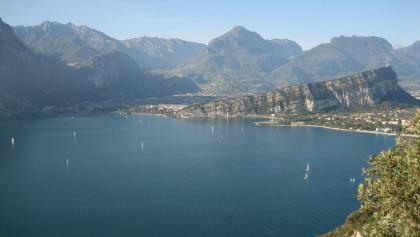 The towns in Garda Trentino are connected by a number of urban and rural bus lines which allow for easy access to different points along the itinerary. 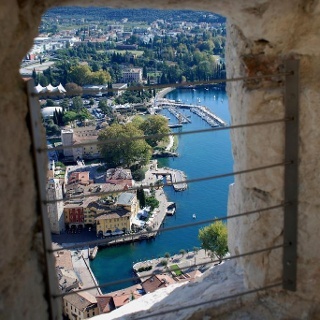 The starting point of the Medium Loop is a 15-minutes walk from the bus station in Riva del Garda.